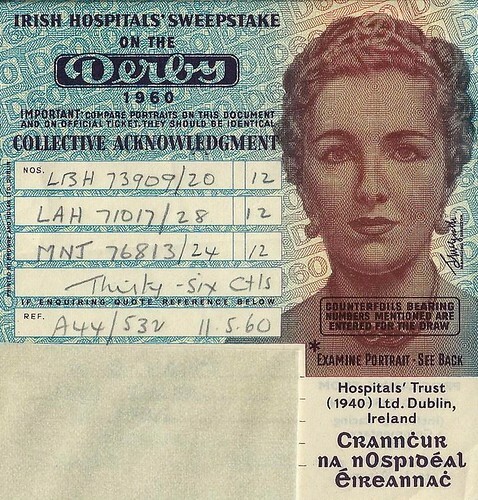 The Irish Government established a lottery called the Irish Hospitals’ Sweepstake in 1930. The aim was to provide funds for investment in hospitals and medical services. The lottery was established under the 1930 Public Charitable Hospitals (Temporary Provisions) Act. The lottery, which became commonly known as The Irish Sweeps, was organised by Richard Duggan, Joe McGrath and Captain Spencer Freeman. Richard Duggan was a Dublin bookmaker who had previously organised lotteries. Joe McGrath was a former government minister and Captain Spencer Freeman was an engineer from Wales who had served in the British army. Together they established a private trust to run the lottery and market tickets in Ireland and around the world. Ticket stubs were returned to Dublin where the draw was held. At first the draw was held in the Mansion House but it was moved to a location in Ballsbridge in 1940. The Sweepstake ran for 56 years, raised millions for Ireland’s health infrastructure and made the three organisers very wealthy. When the Irish Hospitals’ Sweepstake was established it was the only legal sweepstake in the world. Ticket sales were initially confined to Ireland but it was soon realised that a lot of profits could be generated by selling tickets abroad. Though it was illegal to sell sweepstake tickets in Britain, the number of tickets sold there increased rapidly. The amount of money being invested in the Irish Sweepstake by British citizens led to the passing of the Betting and Lotteries Act in 1934. The act together with the later introduction of football pools led to a decline in sales in Britain. As ticket sales declined in Britain the number of tickets being sold in North America increased dramatically. They were smuggled in and sold illegally in both the Unites States and Canada. 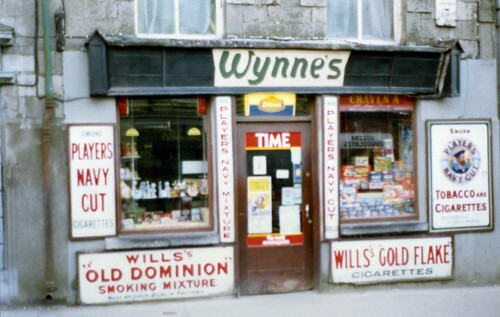 By the late 1950’s almost eighty percent of all sweepstake tickets were being sold there. By the 1960’s lotteries had begun to be legalised in the United States. This led to a decline in the sale of tickets for the Irish Sweepstake. The final Sweepstake prize draw was held in 1986, the same year the Irish National Lottery was established. The first Sweepstake prize of £208,792 was won by three people from Belfast. Mr. J. G. Prescott, a civil servant, shared his winning ticket with Belfast barmen Mr. J Torney and F. Ward. The first Irish Hospitals Sweepstake draw was held in the year 1930 On This Day. The Censorship of Publications Board (Ireland) was first established in 1930. The Board consists of five members who are appointed under the Censorship of Publications Acts of 1929, 1946 and 1967. The selling or distribution of publications which the Board regards as obscene is illegal. Up until the early 1990’s large numbers of publications were banned. Today there are almost 300 books and magazines banned in Ireland. However it is only rarely that publications are now prohibited. During the 1920’s the Minister for Justice, Mr Kevin O’Higgins felt the laws governing censorship did not need to be strengthened. Other politicians, such as Éamon de Valera felt that publications in Ireland should be censored unless they lived up to the ‘holiest traditions’. Under pressure from groups such as the Catholic Truth Society of Ireland (CTSI) the Minister established the Committee on Evil Literature. The report of the committee led to passing of the Censorship of Publications Act, 1929. The Censorship of Publications Board was appointed in February 1930. In May of the same year the Board published, in Ireland’s State Gazette (Iris Oifigúil), a list of the first thirteen publications to be banned. In the following years large numbers of publications were banned, including works by respected international and Irish writers. These included F. Scott Fitzgerald, Ernest Hemingway, Kate O’Brien and Seán O’Faoláin. The Censorship of Publications Board (Ireland) was first appointed in the year 1930 On This Day. The Irish Government established a lottery called the Irish Hospital Sweepstakes in 1930. The aim was to provide funds for investment in hospitals and medical services. The lottery was established under the 1930 Public Charitable Hospitals (Temporary Provisions) Act. 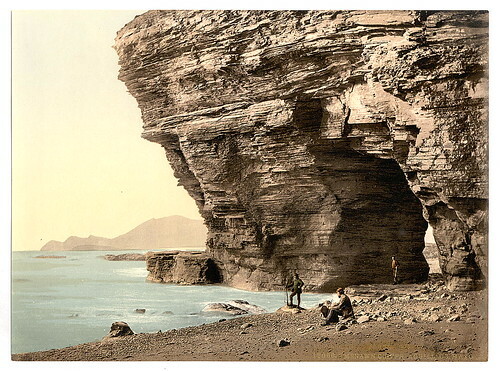 When the Irish Sweepstake was established it was the only legal sweepstake in the world. Ticket sales were initially confined to Ireland but it was soon realised that a lot of profits could be generated by selling tickets abroad. Though it was illegal to sell sweepstake tickets in Britain, the number of tickets sold there increased rapidly. The amount of money being invested in the Irish Sweepstake by British citizens led to the passing of the Betting and Lotteries Act in 1934. The act together with the later introduction of football pools led to a decline in sales in Britain. As ticket sales declined in Britain the number of tickets being sold in North America increased dramatically. They were smuggled in and sold illegally in both the Unites States and Canada. By the late 1950’s almost eighty percent of all sweepstake tickets were being sold there. By the 1960’s lotteries had begun to be legalised in the United States. This led to a decline in the sale of tickets for the Irish Sweepstake. 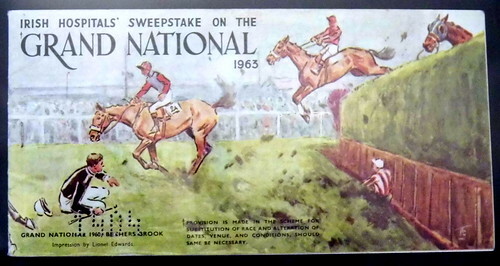 The final Sweepstake prize draw was held in 1986, the same year the Irish National Lottery was established. The first Sweepstake prize of £208,792 was won by three people from Belfast. Mr. J. G. Prescott shared his winning ticket with Belfast barmen Mr. J Torney and F. Ward. The first Irish Hospital Sweepstake draw was held in the year 1930 On This Day. 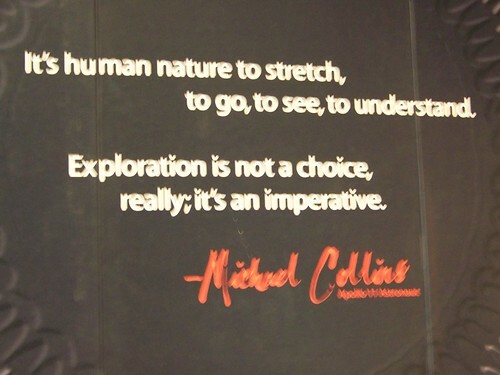 Michael Collins is a former Astronaut who in 1969 was the Command Module pilot of Apollo 11 for the first moon landing. While Neil Armstrong and Buzz Aldrin walked on the moon Collins kept the Command Module in orbit around the moon. He is one of 24 people who have flown to the moon. Michael Collins was born in Rome, Italy in 1930 where his father, a US Army Major General was stationed. Having served as an Air Force pilot he was chosen to train as an astronaut in 1963. He made his first space flight in 1966. With Neil Armstrong and Edwin ‘Buzz’ Aldrin, Collins was launched into space to begin their journey to the Moon on July 16th 1969. Following a 384,700km trip lasting four days, a record TV audience of over 520 million watched as the Lunar Module landed on the moon’s surface. In addition giant screens were erected in places such as Central Park in New York City where large crowds watched the event. Collins continued to orbit the moon while the other two astronauts spent two and a half hours collecting samples conducting experiments and taking photographs on the lunar surface. They returned safely to earth four days later. Michael Collins, the Command Module pilot for the 1969 moon landing, was born in the year 1930 On This Day.